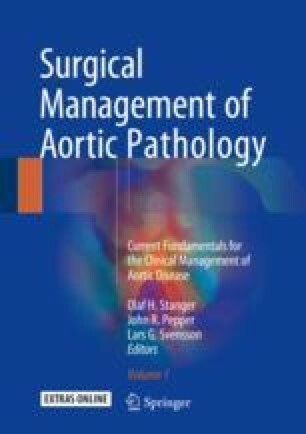 The central location of the aortic valve within the heart is such that those understanding its anatomy will immediately have an overall appreciation of cardiac anatomy. The valve is directly related to all the cardiac chambers, as well as to the atrioventricular conduction axis. Two of the sinuses supporting the valvar leaflets, furthermore, give rise to the major branches of the coronary arteries. It goes without saying, therefore, that the surgeon wishing to provide optimal treatment of aortic diseases should have a thorough knowledge of aortic valvar anatomy.